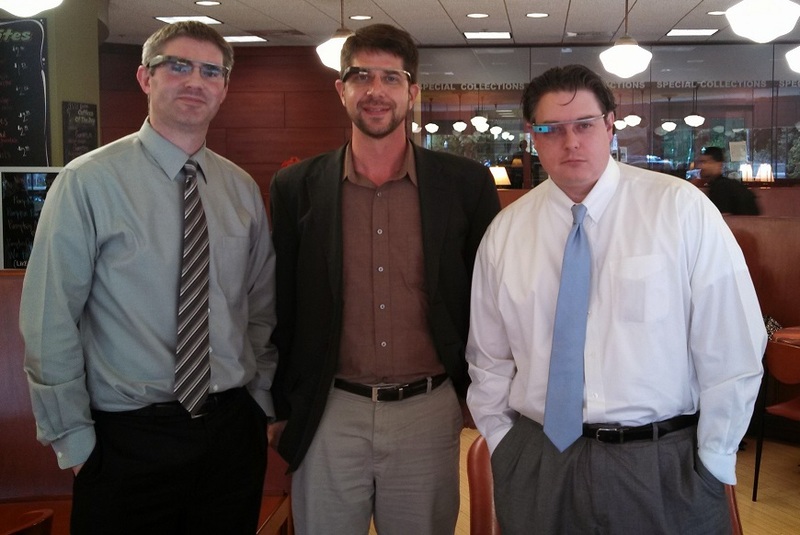 In the past month, I was able to invite three colleagues to join me as a Google Glass Explorer. We were able to meet today to begin exploring ways in which we can use Glass to advance our research and teaching. We also plan to develop new Apps for Glass to support these activities. In the picture below, Peter Sforza is in the middle and Brian Mathews is on the right. Tom Sanchez (not shown) is the fourth member of our Google Glass Team at VT.